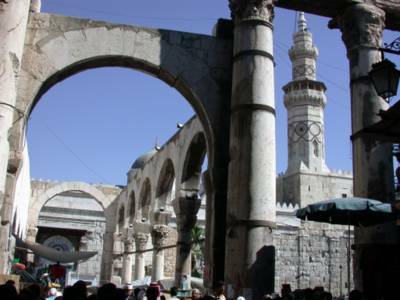 Just goes to show what a really long history Damascus has. No wonder it is the oldest continuously inhabited city in the world, but I think that Aleppo makes this claim also! What do other people think? You will not believe this, but it is the same photo location and idea that I was planning to send to you as your blog is in English and you can manage to arrange this post about them. Exactly in the manner, I swear! Even, I have collected many photos about the same location. Some of them date back to the 19th century, and the rest were shot by me. I will send them to you by email right now. That's some history! Is there some kind of market there? I've resolved to learn Arabic (for many reasons) and visit Damascus. Beautiful. Ancient. Err... can you not link my blog? Thanks!